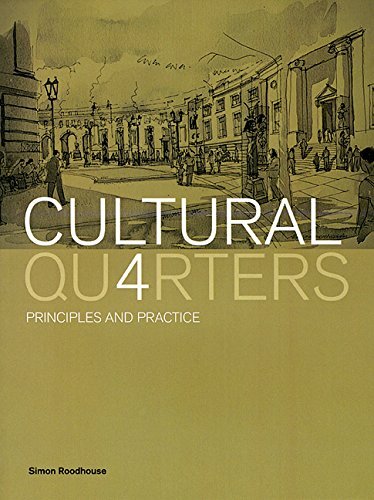 This definitive book provides a conceptual context for cultural quarters through a detailed discussion concerning the principles of urban design and planning. To examine these issues, the book presents several case studies drawn from Northern England, Ireland and Vienna to position the emergence of specific cultural areas within a historical and social context and the economics of maintaining the respective districts. Extending this investigation, the author provides an explicit analysis of Bolton Borough Council’s moves towards establishing a cultural sector in the town centre, with references to previous funding models employed by Birmingham City Council and the British Museum. The book offers a concise illustration of how cultural practice is maintained and expanded within an urban environment. This single volume, packed with detail, can be used in higher education courses to support the study of cultural policy, management and regeneration. Simon Roodhouse was the editor of the Creative Industries Journal. His research focused on the relationship between the arts and industry.